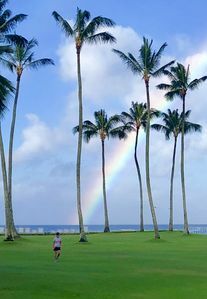 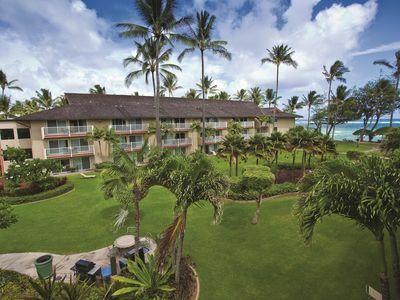 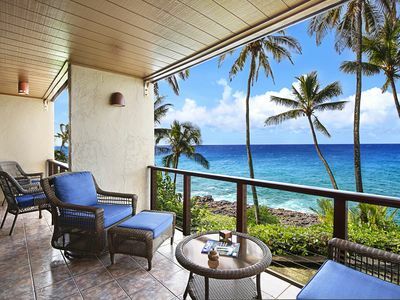 A paradise ocean front resort located on the white sandy beaches of Kauai, the Garden Island. 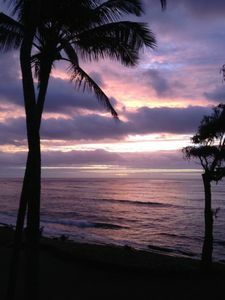 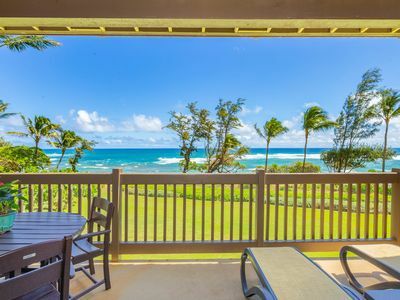 The perfect spot for enjoying those scenic Kauai sunrises! 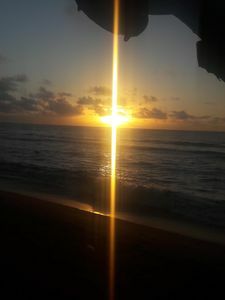 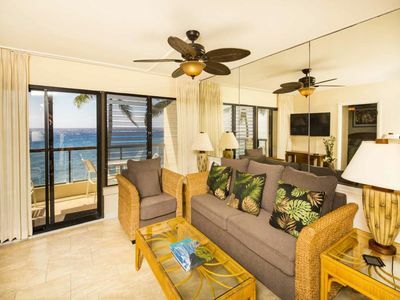 The resort is centrally located for easy access to activities in the north & south areas of the island-Check out the photos and you will understand why that is important. 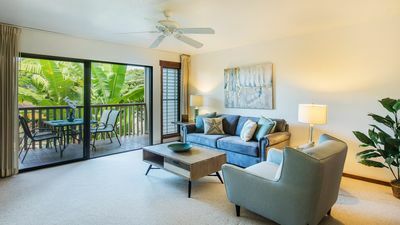 All units have been recently remodeled. 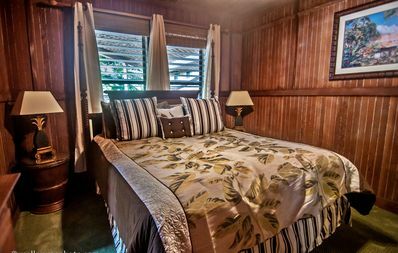 TripAdvisor's reviews are excellent! 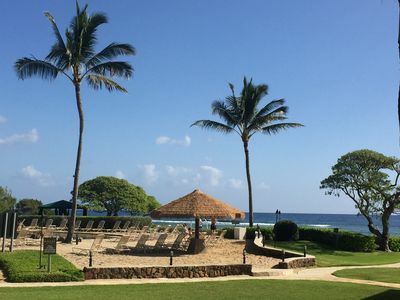 We have personally been vacationing at this resort for 10 years because it is the BEST! 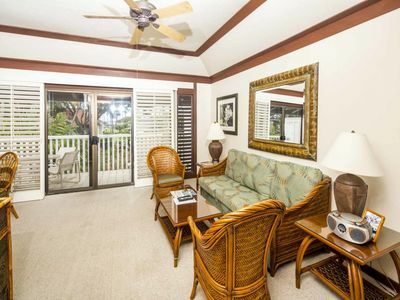 Great Ocean Front Condo for Your $$. 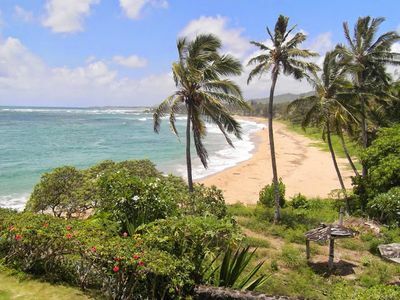 Ranked a++ by Travel Guide! 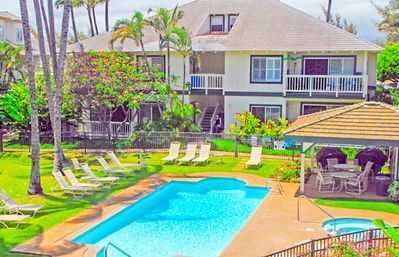 OCEAN/POOL VIEWS FREE PARKING A/C WIFI KINGBED FREE RESORT PASS DELUXE ROOM! 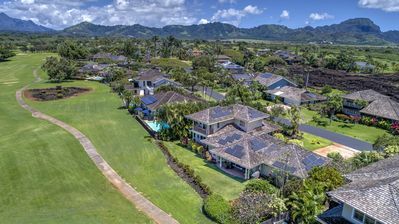 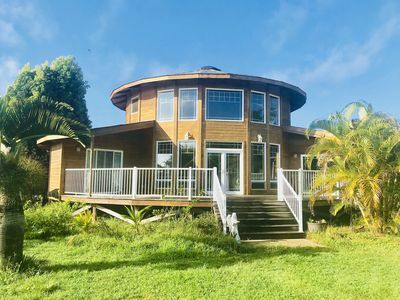 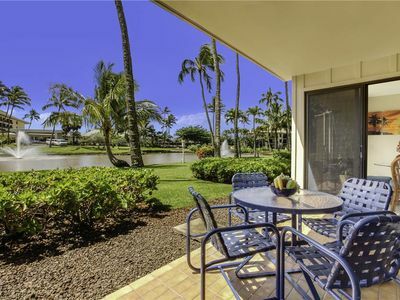 Beautiful 5 Br, 3 Ba Poipu Kai Villa Sleeping 12! 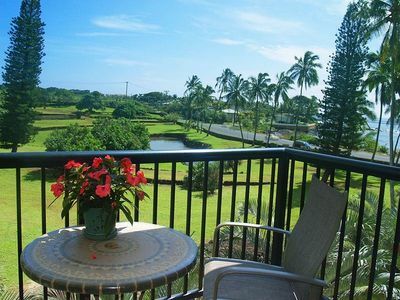 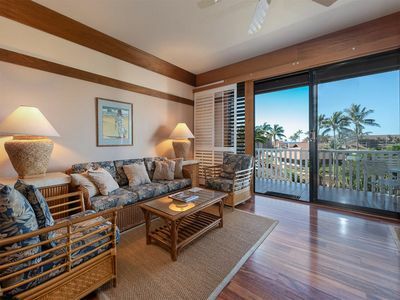 Modern, Spacious, Immaculate, 1Bed/1Bath Villa, Sleeps 4, in the Heart of Poipu! 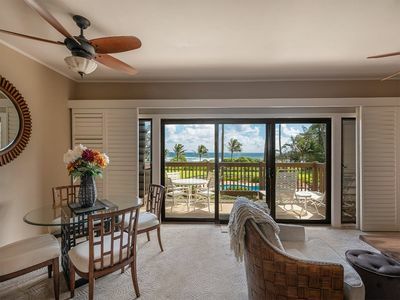 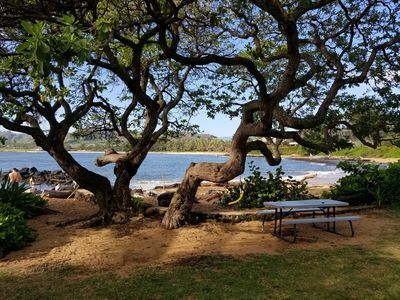 Poipu Makai #E2: OCEANFRONT VIEWS & SEE TURTLES!